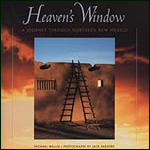 Jack Parsons - "Heaven's Window"
A travel book that explores the rich history of that remarkable region of northern New Mexico known as "heaven's window", this work marries Jack Parsons' vision with the storytelling talents of the award-winning Western historian Michael Wallis. 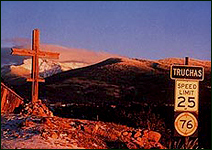 Its compelling portion of the Southwest includes Santa Fe, Taos, and the Sangre de Cristo Mountains. The region has long been a magnetic crossroads for an international community, as rich culturally as it is geographically, and the reasons why become abundantly clear. 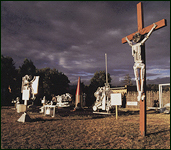 With text by the celebrated author of books that include "Route 66: the Mother Road" that is warm and personal, these luminous photos offer a magical journey through the upper Rio Grande region. 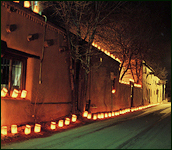 The fusion weaves special poetry from the Land of Enchantment's singular features, especially its famous pueblos, historic churches and ancient petroglyphs.